Irish Whiskey Bonding is the practice of sourcing whiskey from third party distilleries, maturing it onsite until it is ready and then finishing or blending to create a unique stand-alone Whiskey. Bonding was a once common way of producing whiskey in Ireland and bonders were often publicans and grocers in local towns creating whiskey for their local clientele. The practice died out in the early 20th Century when the Irish Whiskey Industry collapsed. 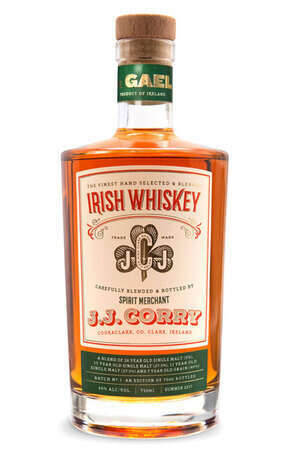 Instead of selling to bonders, the few remaining distilleries in then chose to control their route to market and cut off supply to the Bonders.The Chapel Gate Irish Whiskey Co. was founded by Louise McGuane in 2015 and has resurrected the lost art of Irish Whiskey bonding under the JJ Corry brand name. The company is maturing whiskey in a purpose built bonded rackhouse on the McGuane family farm in Cooraclare, County Clare, Ireland.